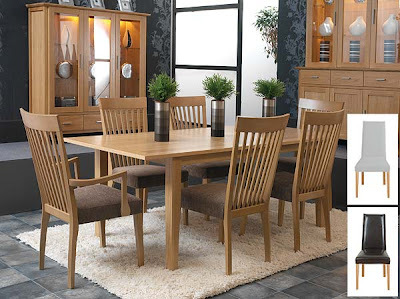 Online furniture retailer Furniture123 offers a wide range of solutions to many a Christmas conundrum. Whether it is a dining set to seat the extended family or a place for them to sleep after they have had their fill of mince pies and sherry, Furniture123 has products for every taste and every pocket, and it’s never too early to order. What home wouldn’t appreciate extra seats round the dining table at Christmas? An extending dining set means the hostess is ready for any eventuality on Christmas Day. The Horizon has warm oak veneers and a classic design that would be at home in an urban loft apartment, a townhouse or in a more rural environment. The chairs are available in a range of styles, including slatted, microfibre and leather, and extra chairs (including carvers) are available separately. Update your living room and create an extra place for house guests to sleep with a stylish and practical sofa bed. Gone are the days when a sofa bed meant an embarrassing lump of foam relegated to the corner of an unused room. With space at a premium in many homes, the inviting Geneva sofa bed, with its elegant lines and contrasting scatter cushions, is also great for every day use. 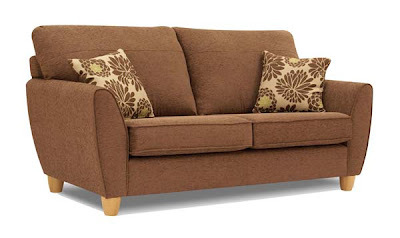 The Geneva is available in a range of earthy tones and matching sofas are available. Why have one bed in the spare room when you can have two? A guest bed is the ideal way to maximize space and the Olivia is an under stated model that boasts hardwood frames with sprung beech slats. The spring loaded legs of the under bed unfold within moments providing a perfect superking size bed, or two full size single beds. The Olivia also comes complete with two sprung mattresses in a choice of standard or ‘no turn’.